This post teaches you how to delete your Instagram account. Using Instagram over a long period can cause severe addiction. It is better to get rid of the application and delete Instagram for good if it is clogging up your social and work life. Instagram is perhaps the most popular social media application right after Facebook. In fact, the Instagram account is directly linkable to Twitter, Facebook, Tumblr, etc. 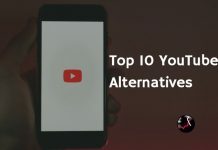 which gives you more motivation to waste your time using these applications. 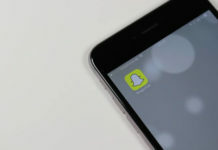 If you are sick of watching the seemingly perfect and happy life of your contacts on the social media platform all day long, you need to delete Instagram right away. The filters and fake smiles on Instagram can make you believe that the lives of these people are really that good. However, you have no idea what is going on behind those filters. Instagram provides you two options of either deactivating your account or permanently deleting your account forever. You can delete your Instagram account if you completely want to delete including photos and videos permanently, But, If you want to delete your account temporarily you can deactivate your account. Click here: Delete Instagram Permanently. Choose a reason and enter your password. Select Permanently delete my account. Your Instagram account got successfully deleted. 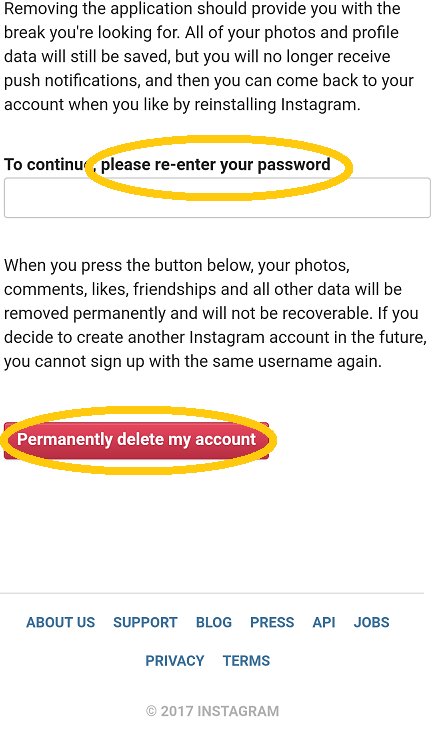 Before moving on detailed explaination on how to delete Instagram account for good, there are a few things that you should keep in mind. Once you delete Instagram account permanently all your information from the platform is lost for good. All your likes, followers, following, videos, comments, photos, etc. vanish from the platform. After permanently deleting your account, you have no way or recovering the information back. So, if you plan on not using Instagram for a while to practice self-control, you might want to check out how to deactivate the account instead. You can deactivate the account to take a break and get back all your information just the way you left it on reactivating the account. You can use your username only once on Instagram. Unlike other social media platforms that allow others to use the same username again after account deletion, your username is permanently blocked and made unusable for good. It is always advisable to deactivate your Instagram account for a while rather than permanently delete it for good because in the second scenario you need to start afresh. Uninstalling the Instagram application from your smartphone is not the same as deleting the Instagram account for good. You need to follow different steps to remove your account permanently. Once you delete your account, all your photos and videos are automatically lost. Also, no one will be able to locate you on Instagram after you delete the account. You cannot delete your Instagram account in case you have forgotten your login credentials. You need to first recover the credentials using the Forgot Password feature to permanently delete the account. So now that you know the various risks associated with deleting the Instagram account, I will teach you how to delete it for good. In cases where you are unsure of your decisiveness in throwing away your Instagram account or at times when you think you just a temporary break from the outside world, you can choose to ‘deactivate’ your Instagram account. This means your account will not appear in anyone’s newsfeed and search results. Your username is still yours and all your photos are safely stashed away but in an invisible mode. Anytime when you decide to step back in action, you can sign in to your account with your authorized credentials and your account will get activated. In the other case where you feel you have had enough of drama, you can opt to delete your Instagram account permanently. Once you delete your account, there is no option to backtrack! Your username is grabbed away from you and is made available for the millions of other users who are signing up. All your photos that you posted gets lost including the ones in which you were tagged. All the likes and comments you made gets deleted permanently. Deactivating the Instagram account will only disable the Instagram account till you re-enable your Instagram account, Your photos and videos won’t get deleted. 1. Login Instagram and click the profile icon. 2. Click Edit Profile and click temporarily disable my account. 3. Choose a reason and enter your Instagram password. 4. Click Temporarily Disable Account. 5. Your Instagram account got successfully deactivated. Step 1: Initially log into your Instagram account. Since deleting/deactivating your account is not possible through your mobile app, log into your account via mobile browser or desktop. 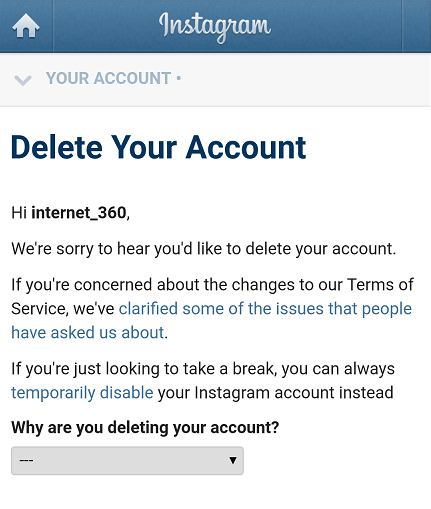 Step 2: Click here: Delete Instagram Permanently to navigate to your Instagram account deletion page which will automatically be directed to a page that allows removing Instagram account permanently from the list of its users. Step 3: Choose a reason why you want to delete your account. This is a mandatory step which has to be followed as it enables further understanding for the people behind the application to understand what went wrong that forced you to step out of their arena. Further, on choosing a reason to step out, Instagram gives appropriate links that are meant for helping in sorting out the issue the person is facing. Step 4: Re-enter your password to continue the process. In order to make sure that you arrived at this decision definitely and not by mistake or doubt, Instagram asks you to perform this step to get a double confirmation from your side before it proceeds in deleting your account. 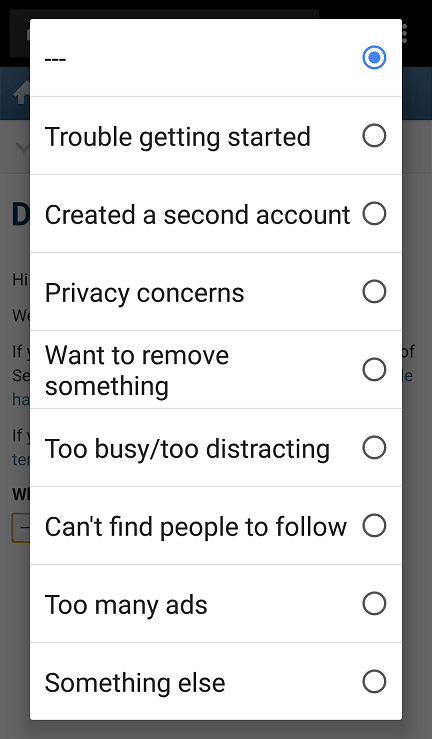 Click on the ‘Permanently delete my account’ blue colored button present at the bottom of the page to proceed to the final step in this account deletion process. Pooffff! With that, you get away from the Instagram community forever, unless you choose to create a new account with a new username and you start posting new pictures and new stories and gain new followers. 1. What happens when I disable my Instagram account? 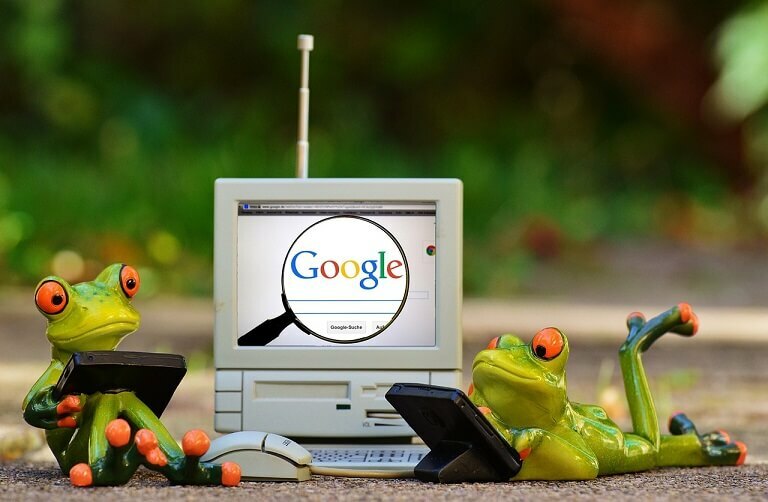 Nobody can search your profile, Nobody can take your username, Your photos and videos won’t get deleted. 2. Is disabling Instagram deletes all my Photos and Videos? 3. How to Reactivate Instagram? Login to your Account from your phone browser and your Instagram account will get activated. 4. 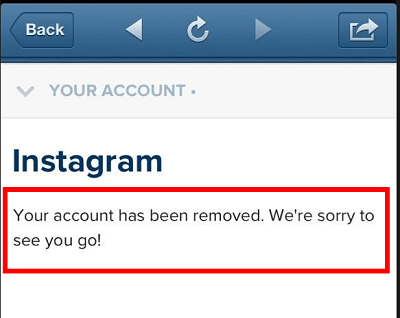 How to delete a Hacked Instagram account? Go to Instagram support and explain your situation, they’ll help you. How can I delete my Instagram account, please help me. This is cool, Thanks for the post. Please follow the above mentioned steps, this will surely help you to delete your Instagram account.